In business, no decision is harder—or more important—than hiring the right people. Your people are without question your most valuable asset. And while hiring the right person is difficult, getting rid of the wrong person is even harder. For that reason, the hiring process can and must be exhaustive. A lot of companies make the mistake of hiring employees based upon educational background and experience. However, by limiting your talent pool to only those with years of experience and Harvard MBA’s, you are missing out on a large population of highly motivated and talented people. Rather than looking at resumes, consider instead looking at the person. Not just on the surface, but deep within their personality and character. Begin by looking at the inner workings of your job candidates. What are their drives, motivations, core beliefs and values? Answering these questions first is crucial before making any hiring decision. Why? Because these are the underlying traits that will inevitably surface and determine the quality of an employee’s performance. Formal education and previous experience are not always the ideal indicators. You have to dig deeper. What you see is NOT always what you get. Think of an ice berg. That employee sitting across the interview table is just like that ice berg. You are only seeing 10% of that person. The “important stuff”—the other 90%—is below the surface. To uncover this all-important information requires high-level interview skills, a good personality and aptitude test, and of course—some gut instinct. Consider this example from the world of Major League Baseball. Most teams today send scouts to watch prospects play and assess their physical skills. Once the player passes the minimal skill requirements, many are subjected to a personality test. The New York Yankees take this to another level. Before they sign any player to a contract, they ask one final question. The most important question of all… “Can I see this player in a New York Yankees uniform?” Often a player will meet every physical and mental requirement but fail to satisfy that final question. Furthermore, you want hard-working employees who have a high degree of self-motivation—a self-starter who doesn’t need to be micromanaged. You want someone with great organization and time-management skills. You want someone who takes great pride in their work—not just to satisfy their employer—but to satisfy themselves. Consider this: You can take any guy off the street and teach him how to box, but you can’t teach him how to fight. The fighter’s mentality cannot be taught. It is something that comes naturally. A successful company will be able to recognize a person’s natural abilities and utilize them in a way that creates maximum results for the organization. In this way, look to magnify the person’s strengths and avoid putting them in positions that expose their weaknesses. For example, if you’re Shaquille O’Neal’s basketball coach, your job is to put him in the paint under the basket. That’s where he will flourish and make his best contributions to the team. Don’t be the manager or coach that asks Shaq to work on his 3-point shot! The question then becomes, how do you elicit a person’s innate abilities, character traits, motivations, core beliefs and values? In order to uncover a person’s inner workings, it is crucial to ask the right questions during the job interview phase. Remember, it is always easier to hire the right person than to fire the wrong person. No employer takes pleasure in firing someone. It is therefore critical to take the time to hire the right person up front. If you have any doubt as to whether the applicant possesses the desired traits for your company, don’t hire—keep looking. After interviewing the candidate, if your response isn’t “HELL YEAH!” then don’t hire—keep looking. Decide what traits you are looking for. What is your concept of the ideal employee? The criteria you establish during this phase will help immensely in weeding through the list of candidates. Let the applicant know exactly what is expected. Be honest and don’t sugarcoat anything. Let the person know that they may be expected to work many long, hard hours including weekends and holidays. Give them a preview of what life is like in this company. This may scare a lot of people away, but that’s a good thing. They wouldn't have lasted long anyway. Be sure to ask the right questions up front so you can weed these people out immediately. You certainly don’t want to rush into hiring someone who doesn't fit the mold. This person will just waste your time and money. And it’s not fair to you—or them. How can you predict who will make it and who won’t? One way is to subject each applicant to a personality and aptitude test. These tests can be very effective in uncovering a person’s natural abilities and motivations. You want to look “inside” the applicant and discover what makes him tick. Over the long haul—and under pressure situations—a person will always revert back to their natural, inherent traits. So, naturally we want to know what those traits are. Another way to look inside a person is to ask specific questions designed to elicit their core beliefs and attitudes. Ask them to rank their values. "What's the most important thing in your life? What's next? Then what? What are the most important things to you in regards to job satisfaction?" These kinds of questions will go a long way in making sure the candidate is the right fit. Owning and operating a business requires many crucial decisions. Success or failure is dependent upon making the right moves. From a business standpoint, it is obviously critical to cut expenses while maximizing profits. You need to clean up your store and create a positive impression. You need to implement a solid marketing strategy. You need to stock the right merchandise. You have to manage your inventory. You have to balance your budget. You have to energize, motivate and train your employees. All of these things which are taught in business school must be implemented in order to achieve success. However, I believe the most important aspect lies in the people. The ability to hire the right people and motivate them to produce is the single most important factor in a successful business. How is Business Like Sports? A business can be compared to a sports franchise. You can build the best stadium, sell the best merchandise, adjust concession and ticket prices, etc. But the success and failure of the franchise ultimately depends upon the players on the field. In the same way, you have to hire the best employees to make your business grow. And you have to make sure those employees are in the right position. There is a story of a great baseball prospect who ran into a terrible slump. His team had selected him as their #1 draft pick and quickly called him up to play third-base for the big league club. He had all the talent in the world, but was struggling mightily. His defense was awful and he made error after error in the field. Eventually, he began to take his frustrations to the plate. Suddenly, the great hitting prospect couldn’t buy a hit. The team almost released him. Luckily, an assistant coach suggested they move the player to right field. Finally, he found a comfort zone in the outfield and began to produce the incredible results that were originally expected of him. A lot can be learned from the book Money Ball, which describes the management style of Oakland A’s General Manager Billy Beane. His goal is to find under-rated players and put them in a position that maximizes their potential. His basic philosophy is that hiring the best players is not as important as hiring the right players. As legendary Louisiana State University baseball coach Skip Bertman said, “We’re looking for the best 9, not the 9 best.” That's what synergy is all about—and using that philosophy—Bertman guided the LSU Tigers to five national championships. The next important step, after hiring the right people and putting them in a position that maximizes their strengths and minimizes their weaknesses, is motivating them. It’s important to create a team concept, one of cooperation as opposed to competition. One of the problems with commissioned salespeople is that it creates competition and internal strife. 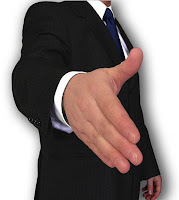 Commissioned salespeople will not share their knowledge and secrets with other salespeople. This limits the ability for your company to grow. The medical field has made such great advances because doctors share their knowledge and information. They cooperate with each other and act as a team. We want our best salespeople to help bring the lower salespeople up. We want them to act like mentors instead of competitors. Management guru, the late W.Edwards Deming, said competition in the workplace must be eliminated along with commissions. If you want to motivate your employees, have them compete against other businesses. Create a common enemy. Establish a culture of “corporate patriotism”. Emphasize the importance of teamwork. Deming is one of the greatest management icons and corporate turn-around geniuses of all-time. He is credited with revolutionizing the Japanese economy following World War II. He despised paying sales people commissions. In addition to undermining teamwork, commissions and sales quotas also undermine the trust and spirit of service that a successful salesperson must establish with their clients. How do we create cooperation and motivate salespeople in the absence of commission? Create a sense of “corporate patriotism”. Hire self-motivated, self-driven people who show a natural aptitude for flourishing within a team environment. Provide high-level training and motivation. As an owner of several retail stores, for example, you can have one of your stores compete against the other. For example, if you own 3 furniture stores, have one compete against the other. But don’t allow competition within a particular store. Offer a prize for the store with the greatest increase in sales. However, it is important to hold each salesperson accountable. The GM should keep a sales record / progress report on each employee to make sure they are pulling their weight. Use this as an assessment tool rather than a competition. Consider submitting each employee to a personality assessment. Then, a notebook should be kept containing the psychological profiles of each employee. Realize some people just aren’t cut out to be salesmen. It takes a certain personality. The psych profiles can help you better understand individual personalities. They can also help your manager learn the best ways to motivate and communicate with his employees. It is also important to offer Personal Finance seminars to your employees. It’s hard for them to be productive at work if they are worried about paying their bills and putting their kids through college. It’s also good to know that the money you’re paying them is going to good use. Happy employees are productive employees. You don’t want them to be distracted by poor personal finance decisions. Educate them. “Teach a man to fish and he’ll eat for a lifetime.” Plus, in theory, you can pay them less as they will be better equipped to stretch their money and make it grow. Consider offering your employees Health, Exercise, & Nutrition seminars. Productivity increases with health improvements. It also cuts down on sick days. You want your employees to be healthy and full of energy. Sales training, self-help, goal-setting, personal improvement seminars should also be offered. You want your employees to have the psychological tools to overcome stress, anxiety and depression. Mental health is just as important, if not more so, as physical health. Bottom line… focus on your employees. Give them all the tools to succeed and show them how much you care. Once you hire the right people, and make them feel important, your company will grow by leaps and bounds. After all, it is your company culture that drives your success. And it all starts with hiring the right people.